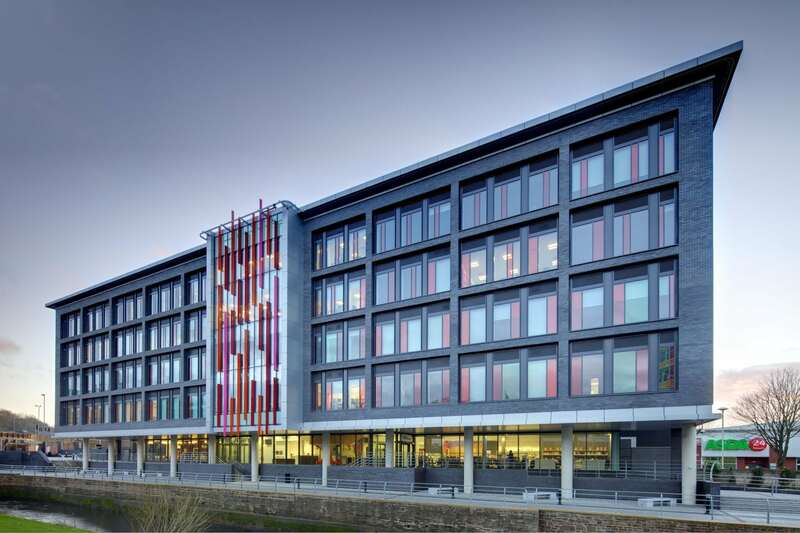 Rochdale Sixth Form College is an award winning education institution providing a progressive, IT rich collaborative learning environment as a flagship for the LSC Capital Investment programme. The scheme was designed to raise aspirations and support the retention of students within the borough. 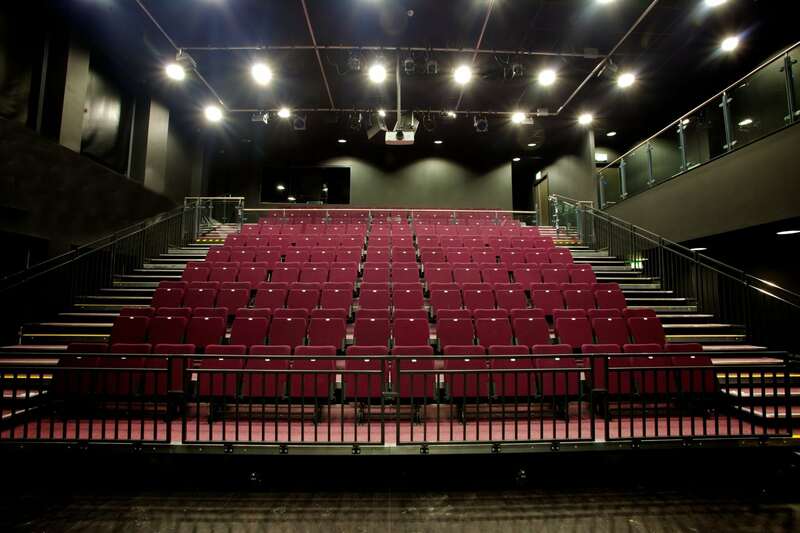 The six storey building provides over 8,000m2 of general and specialist accommodation including a science lab suite, theatre, dance and drama studios, art studios and media labs in a wide variety of flexible teaching and learning environments. Social learning hubs at ground and roof level and an external roof terrace offer students spaces which encourage interaction and collaboration. 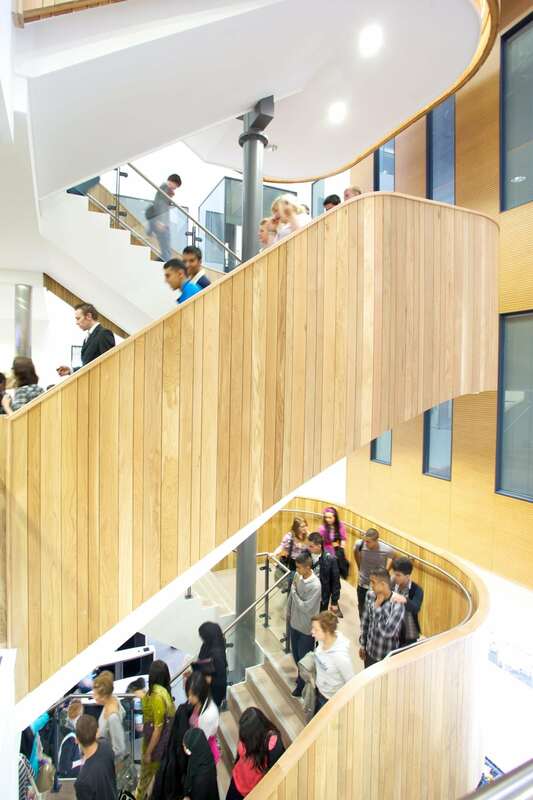 A unique timber clad staircase rises through the central atrium space providing a focal point and aiding building user’s orientation around the college. This central area also allows for flexible zoning for different access requirements. 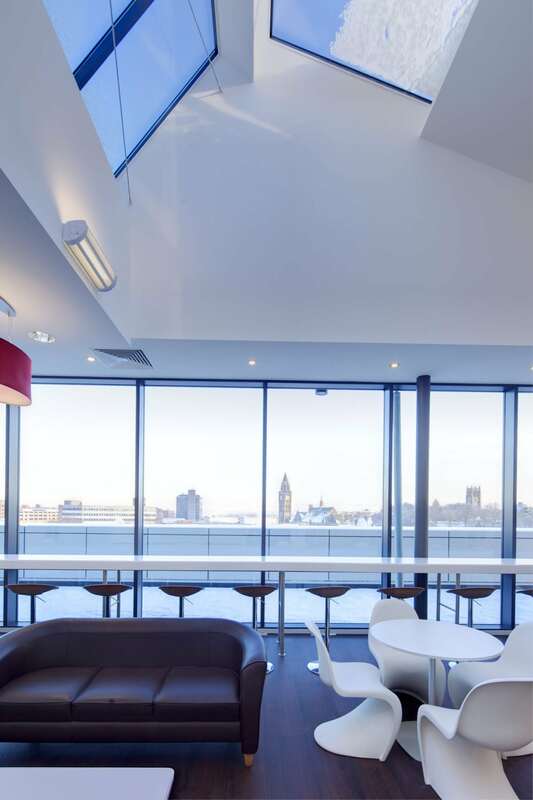 Environmentally conscious features include generous glazing which maximises natural daylight, high performance envelope, air-source heat-pumps, rainwater recycling, solar water heating, photovoltaics and a green roof.